Dubai, UAE, January 14, 2019: Not your ordinary sushi, here comes Doors signature- Beef sushi. If you are a beef lover then this thin beef slices filled with special crunchy potato chips, sauces, avocado and cucumber is worth having. 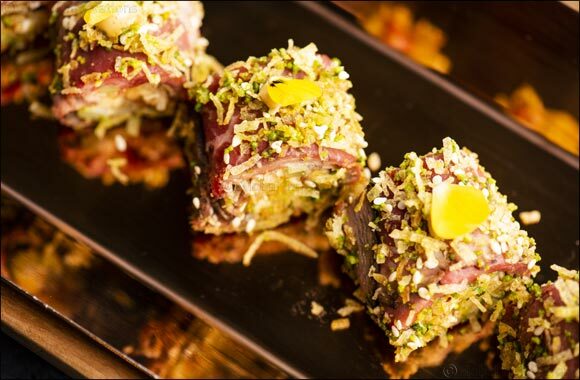 This slow-cooked Smoked Beef tenderloin Sushi roll is a delicious combination of flavour with fresh vegetables and soya enhanced with Tulum cheese, pistachio and toasted sesame seeds.